I’ve had The Restorer, by Sharon Hinck, recommended to me by several people recently, and I read ItB’s review from 2010, but I’m only just now reading the book. I wanted to like it, and I did, for the most part, but it’s not exactly an outstanding book. Susan Mitchell is just an ordinary soccer mom, wrestling with rambunxtious teenagers, dirty countertops, and overall daily stress. Susan finds herself sucked through a portal, into a world waiting for its promised Restorer. She must work through unexpected battles, strange taboos, and mind-poisoning enemies to grow in her own relationship with the One. But her adventures will forever change her family, her faith, and the world. It’s definitely an intriguing premise…how often do you get a sci-fantasy novel about a middle-aged mom? And in some ways, the story measures up to expectations. It’s interesting, definitely, and the mix between fantasy (swords) and modern technology (guns, CDs, and transportation) is definitely attention-grabbing. And for the most part, the story itself is quite good. It’s just a little…predictable. The story has lots of unexpected twists, but the stakes seem fairly low throughout the book, and certain plot points just seem…predictable. 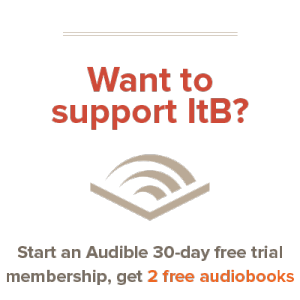 Enter the Lost Tribes at just the right time to save the beleaguered army of the Chosen, and wouldn’t you know it her husband ends up in this world too. I won’t spoil the story, but a lot of unexpected twists aren’t just that: you see them coming. It’s easy to double-guess. The final ending can be seen from a million miles away. Still, despite the predictability, it’s not a totally bad book. It brings some interesting concepts to the table, and it’s definitely enjoyable to read. But I would have liked to have been able to read a story that meshed a little better, with ideas that seemed a little bit more…grafted into the story as a whole. 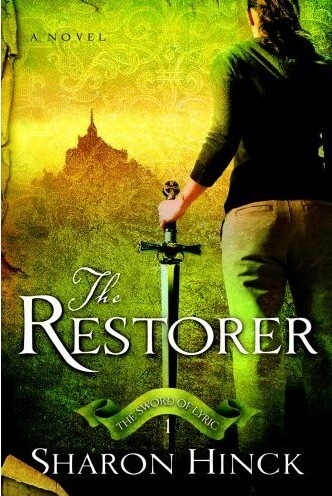 But if you’re into fantasy, looking for a quick read, give The Restorer a chance.